The Beast from the East has taken it's toll on football matches across the North Sussex region. Crawley Town v Wycombe Wanderers in SkyBet League Two failed a pitch inspection at 2.30pm today. 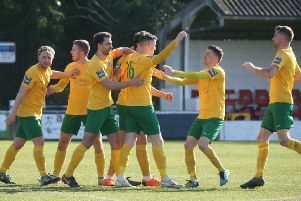 In the SCFL Premier, Haywards Heath Town's home match with Arundel, Horsham YMCA's tie with Chichester City, Loxwood v Eastbourne Town, AFC Uckfield Town v Crawley Down Gatwick and Broadbridge Heath's visit to Pagham have all fallen foul of the snow in the Premier Division. Three Bridges' home match against Newhaven has also been called off.